How do I add a category to a catalog? When managing catalog categories as a Catalog admin, you can create categories for your catalog and subcatalogs. Categories are created from tags added to course or program listings, as well as subcatalog names. Any categories in the parent catalog can automatically apply to subcatalogs. However, you can choose to create your own categories for a subcatalog. When viewing the parent catalog, the subcatalog list displays all subcatalogs in the account. When viewing a subcatalog and inheriting categories is disabled, the subcatalog list is filtered to only show subcatalogs that descend directly from the subcatalog you are viewing. The tags list always shows tags from all subcatalogs across the entire account. Note: In subcatalogs, you cannot add a new category if the subcatalog is inheriting categories from another catalog. Click the name of the catalog where you want to create a category. Categories defaults to the subcatalogs drop-down menu  and displays all subcatalogs for the account. Locate the name of a subcatalog and select the checkbox . You can select multiple subcatalogs at one time. Selected subcatalogs added as categories appear under the Categories heading. 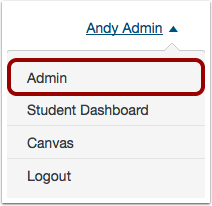 To remove a category, locate the subcatalog category and click the Remove icon , or deselect the subcatalog checkbox . To add tags as a category, use the drop-down menu to show tags . Locate the name of a tag and select the checkbox . You can select multiple tags at one time. Selected tags added as categories appear under the Categories heading. To remove a tag category, locate the tag and click the Remove icon , or deselect the tag checkbox . Previous Topic:How do I manage categories for a catalog? Next Topic:How do I manage catalog listings? Table of Contents > Admins - Catalog > How do I add a category to a catalog?